When working on Winterglass, I wanted to thoroughly remove it from its milieu (white, Christian, Finnish, heteronormative). One of my inspirations for that relocation of culture and narrative? It came by a very odd, sideways manner — through Nasu Kinoko. In Nasu’s extensive (famous or notorious, depending on your perspective) Fate/stay night franchise, King Arthur is a bisexual woman. From left to right: Gawain, Mordred, Lancelot, Artoria, Bedivere, Tristan, Agravain. Yes, Mordred is a woman. It’s not that she is reincarnated in an American high school as a girl — how wishy-washy — she has always been a woman, though her gender was kept a semi-secret, known mostly to her knights. Her son Mordred in the red armor: also a woman. Sir Gareth, not pictured here: also a woman. It’s not a big change, and gender-flipping in retellings is a common enough trope (though oddly, when it comes to Arthuriana specifically, this seems to be the first of its kind and hasn’t been replicated since). But Nasu also made a number of other changes: in classic Arthuriana, the court at Camelot is celebratory, a place of pageantry and performative gallantry — there are jousts, there are quests for the grail, and King Arthur pulled the sword from the stone without knowing what it meant. In Nasuverse, Artoria pulls the sword knowing exactly what it means, and she grows into a king best known for her perfection, aloof and removed from her people, a monarch without emotion who’s dedicated entirely to her duty. Arthuriana regards the land as owing a duty to its king; King Artoria sees kingship as making her subject to her people—it is she who owes Britain duty, not the other way around. Artoria contradicts classic Arthuriana for more reasons than just her gender: it is crucial to the King Arthur figure to not know what the sword in the stone means, and for him to have yanked it out in innocence; it is crucial for him, pre-kingship, to be reluctant and naive to the idea of leadership. Him turning out to be the rightful heir and rightful king is supposed to be a surprise to him. Artoria fundamentally differs from her source counterpart in that, not only does she know what the sword means, she is forewarned that kingship is a terrible, lonely burden and that her reign will likely end in tragedy. Merlin, either in Mallory or de Troyes or The Vulgate Cycle, never quite gives Arthur the same warning. The Arthuriana of Nasuverse is meticulously researched: Gawain possesses the Belt of Bertilak, a version of Artoria owns and wields the lance Rhongomyniad, a wealth of obscure minutiae from Mallory and the rest are surprisingly included. But what King Artoria does not concern herself with, what this retelling of Arthuriana doesn’t rate in high regard, is England. 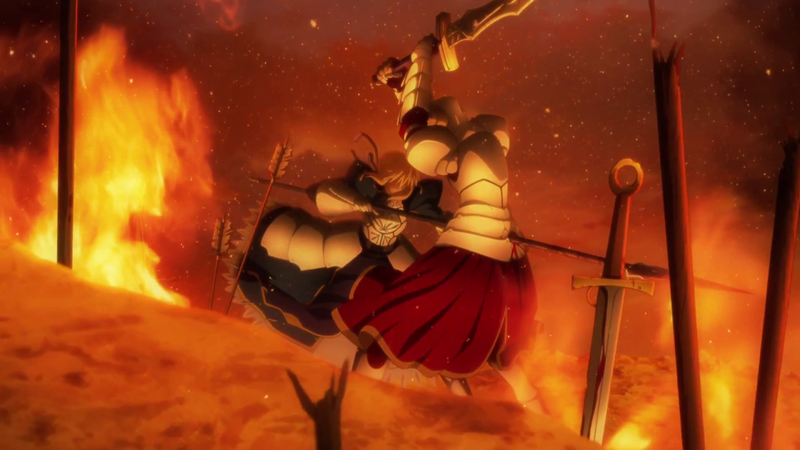 King Artoria is transported to Avalon to rest until a time of need arises, but it’s not Britain that she comes to aid; she is instead summoned into a duel of mages in contemporary Japan (twice). While Fate/stay night and its various spin-offs occasionally brings the action to England, usually London, Artoria herself is always absent from such outings. She appears in the fictional city of Fuyuki fully acclimated to its culture; she sits on tatami and sleeps on futon; she enjoys Japanese food and (thanks to magic) speaks the language perfectly. Her version of chivalry more closely resembles bushido than the European concept, and she doesn’t distinguish her national identity as a Welsh from the Japanese characters’ understanding that she is simply British. Not once, in her various appearances, does she ask how modern Britain is doing. In other words, King Artoria — Saber — isn’t all that British beyond surface details; Nasu Kinoko (and the bevy of writers who have joined him over the years) is not that interested in the Matter of Britain. Artoria and her Knights of the Round Table, despite their source material, are not there to tell a British story. Their myths and legends are there, essentially, as window dressing. This is what interests me: the deep and fundamental difference between a retelling and its source material, especially when the source material belongs to a dominant culture and the retelling does not, especially when the writers of a non-dominant culture mixes, matches, and uses the details of the dominant culture as surface dressing with no regard for what’s underneath — to the extent that the new creation is almost its own independent thing, a second canon, a Japanese Arthuriana. Nasu Kinoko may have read a translation of Sir Gawain and the Green Knight but it was probably to mine what skills and powers Gawain would have as a Heroic Spirit. It’s irreverent, not in the satirical slapstick manner of A Connecticut Yankee in King Arthur’s Court, but in simple disregard for anything English. This is a media property that mines Arthuriana for plenty of material while entirely decentering Britain and all things associated with it. 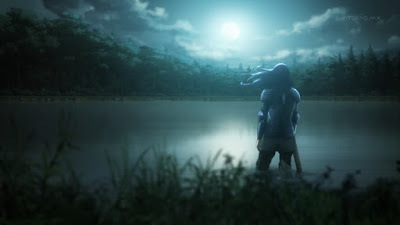 Nasu’s Arthuriana is culturally removed from its source, and King Arthur is not just a bisexual woman but also an idealist who despises expansionism and colonization. You couldn’t get any less British than that. For this month’s recommendation post, we’re asking readers to tell us about their favorite monsters of the world. What inhuman or almost-human beast, hybrid, giant or otherworldly creatures most fascinates, terrifies or speaks to you? As usual we have asked a handful of authors, artists and other friends to prime the pump with their suggestions, but what we really want is to hear from you. However, here’s the thing. Furry monsters have been the most intriguing to me for a while, even before I had dogs of my own and even before I started trying to work out how they would actually, well, work. Werewolves seem to represent the monster within, the animal nature that's hiding inside every human being, just waiting for that “it’s in my nature” or “it’s just the way I am” excuse to come trotting out. I want to be better than that. I want to be a human being, a person in control of themselves. On the other hand, there are times I envy these monsters, even if it’s a curse and it means they are forced to exist outside of community and civilisation. After all, they get to be a rampaging monster with no thought to the consequences. The best monsters though are the ones that haunt your dreams, give you nightmares, and change the course of your life. 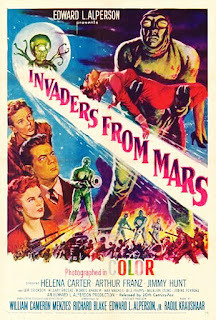 So I'll have to go with the mutant slaves from the original 1953 version of Invaders from Mars—those bug-eyed, furry brutes with visible zippers down their backs. In the dreams at least, there was only one, and he was coming after me. I would go to adults, but they couldn't see—or even believe in—him. 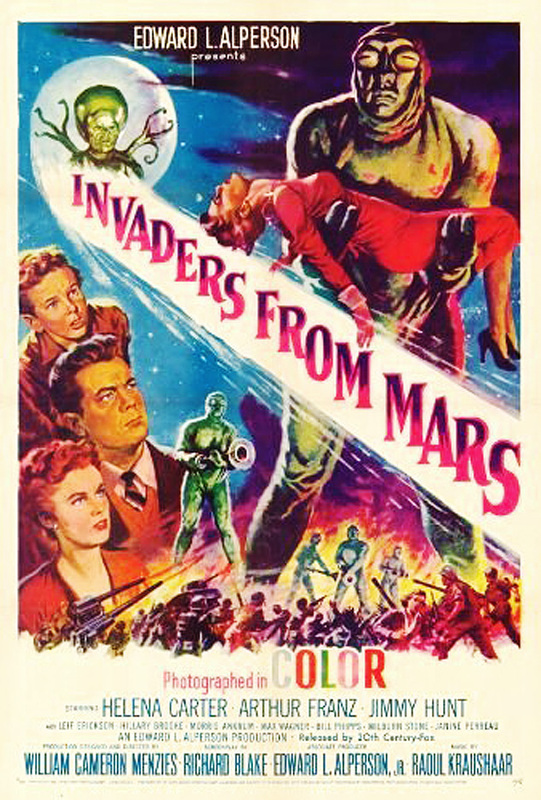 This developed into a phobia of monsters, and hatred of science fiction. Then one nightmare, after some adult had told me there was no such things as monsters, I turned around, and there he was. I grabbed one of his arms, and it snapped off, and crumbled. He was made of the same delicate, almost solid smoke of the Magic Snakes fireworks. I punched him, and he fell apart like those flimsy snakes. I was no longer afraid of monsters. I loved them. And I loved science fiction, too. Since then, my life has been full of monsters. It makes me smile. Baba Yaga is… an old Slavic perception of horror. In the numerous variations of her legend, spread over an enormous territory, she appears as an anthropomorphic, monstrous-looking figure, a cannibal and terrifying magician who hates humans. Dwelling in a deep forest outside the human realm, she is profoundly related to the wilderness and to nature cults. Her house on chicken legs reflects in a curious way an ancient burial custom of cremating the dead in small wooden huts built on tree stumps. 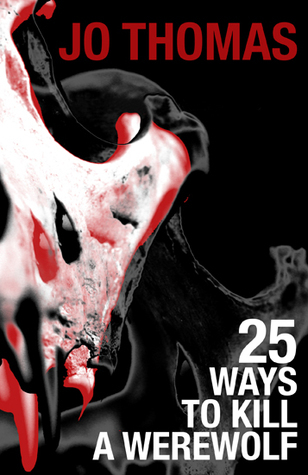 Absorbing elements of witch and goddess, and often associated with some female evil spirits that exist beyond the Slavic imagination (just compare the horrifying tale of Hansel and Gretel…), her multidimensional figure provides infinite perspectives for exploration that trigger the curiosity of the researcher. The most astonishing aspect of her mythological image is her ability to turn into a positive character that helps humans, sometimes involuntarily, especially the young hero who struggles to accomplish his task and save the day. I was born in the Year of the Dragon. 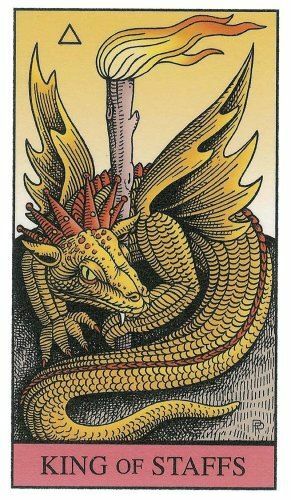 A tarot instructor once said of the King of Staffs in a spread I head dealt myself with my own deck, a card which features an old dragon, “That is your job”—not realizing that I also worked at a school with a dragon as its mascot! The dragon has differing associations in different cultures. Largely negative in Western culture, in Chinese tradition the dragon is associated with rationality (as opposed to the passion of the tiger). In the Near Eastern roots of Western Culture, the dragon is associated with the Female, as in the Babylonian Tiamat, which was slain by Marduk. Merlin Stone, in When God Was a Woman, argues that the killing of dragons by (male) heroes in Western myth and folklore reflects male fear of the primordial Mother Goddess, whom they were trying to obliterate even in memory. Tolkien glossed the medieval dragon as an emblem of “malitia,” or malice, and it is with this in mind that one may read Smaug in The Hobbit as manifesting pride, wrath, avarice, and possibly even sloth (sleeping on a pile of treasure for 100 years). Literary dragons that have inspired me include: Fafnir, whom I remember from reading Sigurd of the Volsungs; the unnamed dragon from Beowulf; the combination of the two in Tolkien’s Smaug, also the delightful Chrysophylax, from Farmer Giles of Ham; the dragon in Ursula K. LeGuin’s A Wizard of Earthsea; Anne McCaffery’s dragons; Lawrence Ferlinghetti’s The Great Chinese Dragon. My favorite monsters are trolls. I have been fascinated by these creatures since I was a child. 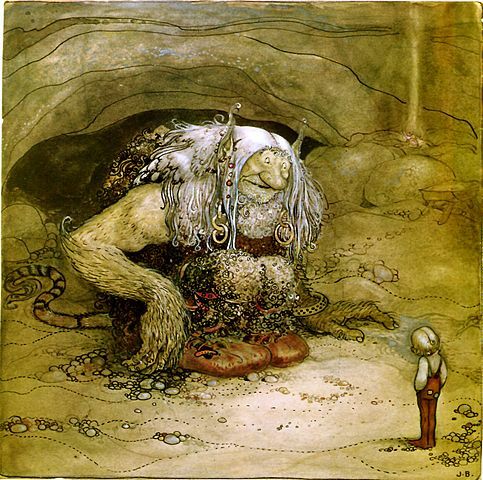 I love how they are a diverse creature with several different species; mountain trolls, forest troll, etc. I particularly love how they are depicted as larger (much larger) than humans, but not too intelligent; they are scary and intimidating, yet easily escapable if you can outwit them. Now tell us about your favorite/most nightmarish monsters in the comments. If you prefer, you can share your favorite monsters as images on social media, and have a chance of winning a prize (see rules from Classics International). And if you haven’t had enough of monsters, there’s a whole evening of them in London next Tuesday: Why do we need monsters? Why do we need Monsters? 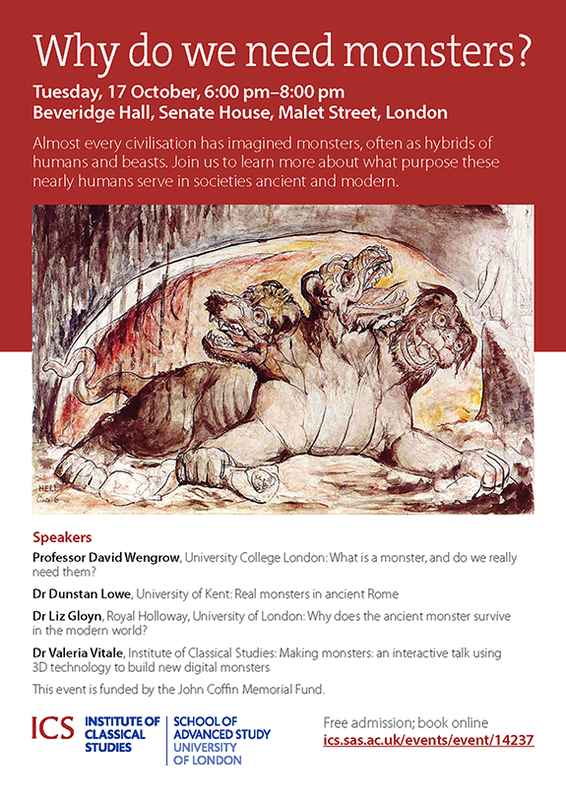 Later this month, TFF associate editor Valeria will speak at an event hosted by the Institute of Classical Studies, University of London, titled Why do we need monsters? Today we worry about chimaeras - organisms created by combining genes from more than one species - and science fiction writers imagine bizarre aliens on other planets, just as nineteenth-century novelists placed them in the Centre of the Earth, on Lost Worlds or in Lands that Time Forgot. Almost every society has imagined monsters, often as hybrids of humans and beasts. 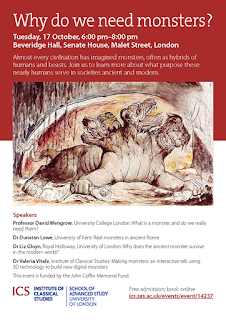 This free public event brings together some of the most interesting researchers on ancient monsters and invites us to reflect on what purpose these nearly humans serve in societies ancient and modern. Does your house look too quiet during the night? Do you really want to scare off the annoying neighbour’s cat? Do you want to, literally, amaze your friends at parties? Nothing like having your own monster! Join us as we share our tips on how to make and customise the monster of your dreams! You can leave the clay at home as we’ve moved into digital technologies. We will start by looking at the most common features that make a class of imaginary creatures perceived as “monstrous”, and try to extrapolate the recurring rules behind their creation. We will then transfer the same concepts into 3D modelling, using free software to explore the combination and modification of different components in order to build brand new digital monsters ready for 3D printing and the monsters’ entrance into the material world. Disclaimer: we cannot be held liable for the actions of your newly-created monsters. This week in our series on recommendations, we’d like to hear about your favorite progressive speculative fiction movies and television series. Films that reflect the importance of feminism, race issues, queer activism, the environment, class and politics and ethics of any kind. This is obviously a broad brush, and we’d like to hear about anything you've seen in any of the speculative genres that might talk a skeptic into giving cinema or TV a chance again. On the surface a silly comedy about the afterlife, The Good Place (2016–) turns out to be a surprisingly deep, witty and hilarious meditation on ethics and social justice, and what good—and not so good—people should do. Veteran actors Ted Danson, in arguably his best work since Cheers, and Kristen Bell, shedding both her Veronica Mars and Anna personas, are anchored by a solid cast including William Jackson Harper and Jameela Jamil. Anything more than this would be spoilery, so just enjoy the ride. 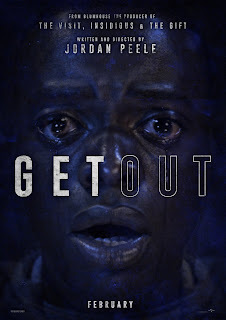 Get Out (2017) starts out with a domestic setting and some spot-on excruciating social commentary. Then it slews into something darker and more weird; I won’t spoil the film by defining it as science-fictional, fantastic or supernatural, but it’s brilliantly horrible. 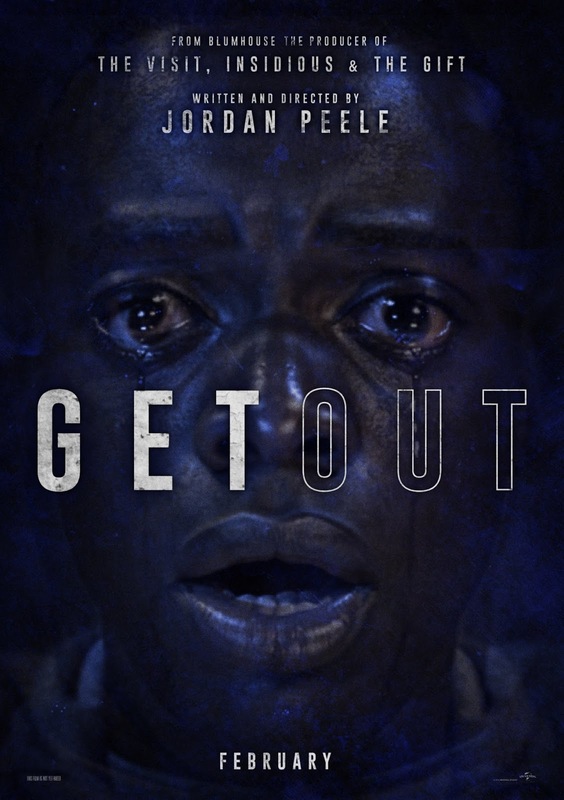 Before I saw Get Out, I feared the weird elements might undermine the critique set up in the first half of the film, and let society off the hook. However, the unfolding horrors only intensify what goes before. It’s gruesome and cathartic and definitely worth a watch, particularly at Halloween. I came across the British TV series AfterLife by chance, but I quickly grew fond of it. The premise is quite traditional: a woman able to interact with restless ghosts, and a psychologist academically fascinated by what he believes is a case of self-delusion. Each episode is a self-contained ghost story, often original and always excellently written by Stephen Volk. But the reason why it is included in this list is that I have become more and more interested in the dynamic between the two main characters, how issues like gender, class and mental disability impact on them. The protagonist is a middle-aged woman, with low income, little education, and mental health issues. Her character is unapologetically unpleasant, and she often faces resistance, not because of her supernatural claims but just because of her fragile position in society. The contrast with the well mannered, balanced and agreeable male character, who is “naturally” trusted and respected is telling, and sensitively portrayed. Mad Max: Fury Road is the best sequel that’s also a reboot ever made. Tom Hardy’s monosyllabic, feral Max is a perfect heir to Gibson’s original and Hardy brings 1000% more intelligence and emotion to the role. Never before has a cautious, uncertain thumbs up been so moving. But what really makes this work is Furiosa, the women who raised her and the women she saves. 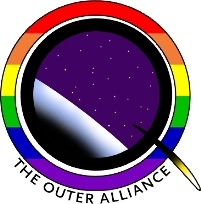 The way that the rebirth of society and the path that takes is explored is stunning. The short sighted brutalist capitalism of Immortan Joe, and of Max, being replaced by a world that people can live in and a heroine that can protect it. The past, the green shoots of hope and seeds of potential, reborn in a present that may not take but is damn sure better than what it replaces. No wonder Max looks sad when he leaves. So do we. 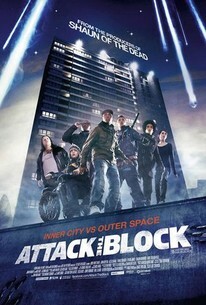 Attack the Block (2011)—there are strong characters in this action-horror that also comes with some solid social commentary. They will be the women and people of colour. You will want all the white male characters to get ripped to shreds by the impending alien invasion—for their excruciatingly embarrassing cultural appropriation alone. Will it happen? 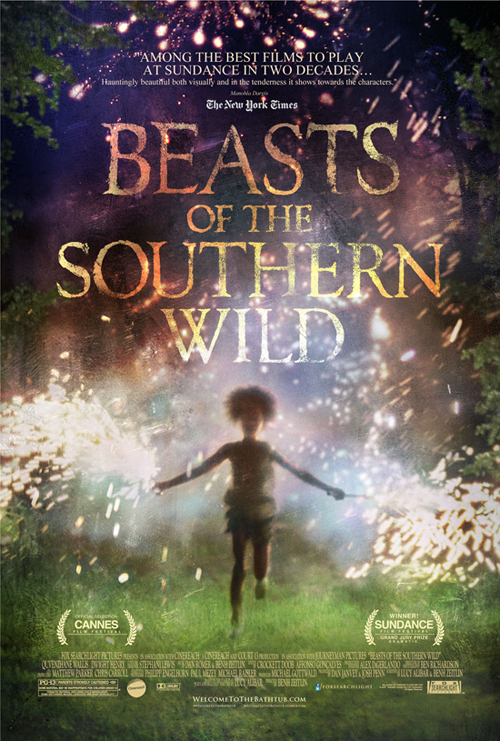 You probably saw this when it was getting all the Oscar nominations and rave reviews five years ago, but I still feel Beasts of the Southern Wild (2012) deserves a place in the speculative hall of fame for a movie that tackles several very topical issues of our time: climate change, disaster relief (especially of poor and marginalized communities), gender, race, wealth inequality, the importance of community, all while being subtle, beautiful, oneiric, magical, speculative and fabulously performed by two newcomer actors with great talent and heart. If you haven’t watched it in five years (or ever), give it another go. It’s an especially essential story at the moment. Now please leave a comment and tell us about your favorites. I want to hear about science fiction, fantasy, horror, surreal, or other speculative movies that I may not have seen yet, or that I might not have thought of as progressive or political, and for you to talk me into giving them a chance.